It offers more than just distraction as its an ideal channel for marketing your products and services. YouTube is the second most used search engine behind Google. This means that people go to YouTube looking for answers to their problems. Sounds like a consumer to me. So how can your business take advantage of it. Firstly you can establish your own YouTube channel. This allows people to subscribe to it so that anytime you add a new video they will be notified and get to see what you are doing. This is the perfect place to show the public your expertise and that you have the answers to their questions. Secondly, YouTube is owned by Google and videos now enhance your website ranking. Your videos may even appear in the search results another great way to help your business be noticed. 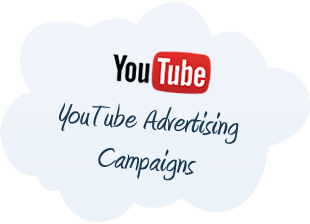 YouTube offers a wide range of targeting options in a more relaxed informal environment. You can attract an audience by tapping into their entertainment preferences using video advertising. As YouTube usage grows only the best creative ideas will gain audience attention so contact us for more information. Now that you are set up it is time to talk to Exposure By Design to develop a holistic marketing campaign to utilise your Social assets. Ready to talk about how we can help with your Youtube Marketing project?